Mr. Yeoh Keat Chuan is the Managing Director of the Singapore Economic Development Board (EDB), appointed since July 2012. Before this, he was EDB’s Assistant Managing Director, responsible for investment promotion efforts in a number of industry sectors. 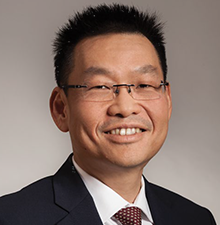 Keat Chuan has held several Director-level positions in EDB since 2005, overseeing initiatives in divisions including the Americas and Biomedical Sciences Cluster. He joined EDB as a Senior Officer in the Industry Development Division (Chemicals) in 1994. Mr. Yeoh joined EDB as a Senior Officer in the Industry Development Division (Chemicals) in 1994. Keat Chuan is a Glaxo-EDB scholar who graduated with a Masters of Engineering (Chemical Engineering), from the Imperial College of Science, Technology & Medicine, University of London. Keat Chuan attended Stanford University’s Graduate School of Business Masters in Management Science program and graduated as a Sloan Fellow in July 2004.